We've been making excellent software for the public sector since 2006. We keep everything in-house and we've gained extensive experience developing unique apps. Browse through the case studies to get a flavour of how we can help your organisation. Find out how DIT uses SPIRE to process export licences of strategic goods. 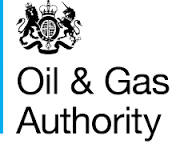 Find out how the OGA uses the UK Energy Portal to process applications for companies to operate in the North Sea. Find out how the Marine Management Organisation uses Fivium software to process permits and licences for companies operating in the UK's waterways.